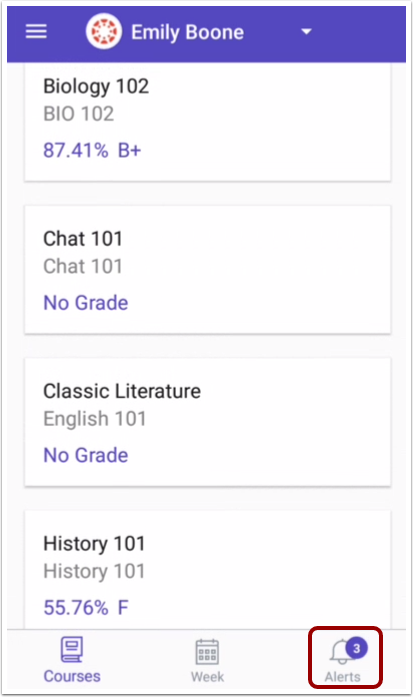 How do I view alerts in the Canvas Parent app on my Android device? 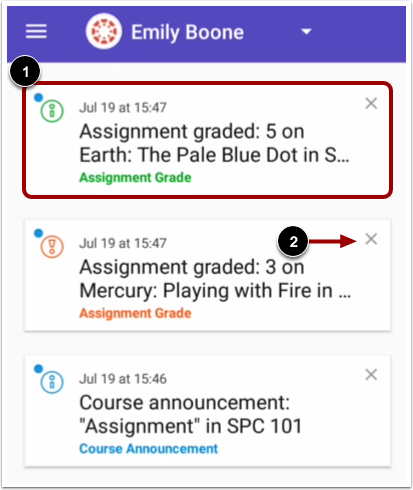 The Alerts page displays assignment and grade alerts for the student(s) you are observing. Learn how to set alerts about a student's coursework. View alerts for the student you are observing. To mark an alert as read, tap the alert . To remove an alert, tap the Remove icon . Previous Topic:How do I create a reminder for an assignment or event in the Canvas Parent app on my Android device? Next Topic:How do I set alerts for a student in the Canvas Parent app on my Android device? Table of Contents > Observers > How do I view alerts in the Canvas Parent app on my Android device?